Discover how to grow delicious fruit and vegetables and make the most of them in the kitchen too! In September I’m excited to be launching a new venture, Pot to Pot, a series of half-day workshops with cookery writer CJ Jackson. Pot to Pot was an idea drawn up over a cup of coffee after a chance meeting during a school drop off. Having grown up only a few miles apart, CJ and I now live on opposite sides of the Bourne Valley in the Kent countryside. I’ve been growing fruit and vegetables for many years now, but my skills very much stop at the kitchen door. CJ, on the other hand, is expert at turning home-grown harvests into gourmet feasts so we’ve decided to team up for some half-day workshops, showing just what you can grow and how to get the best out of it in the kitchen. 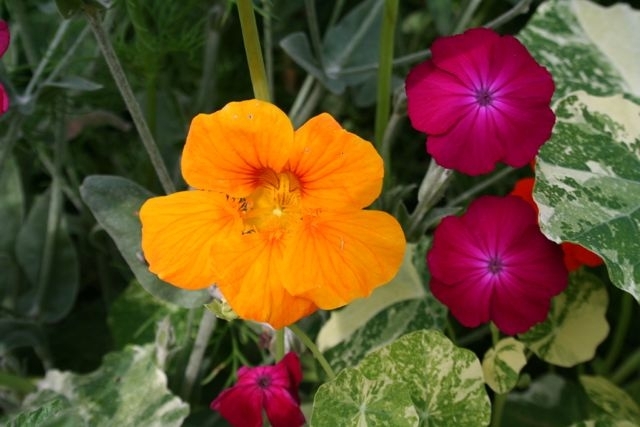 You’ll learn from me what varieties to go for, get some great growing tips and plenty of inspiration from our showcase vegetable container garden where we’ve been growing everything from squash to cape gooseberries, watermelon to sweet potatoes. 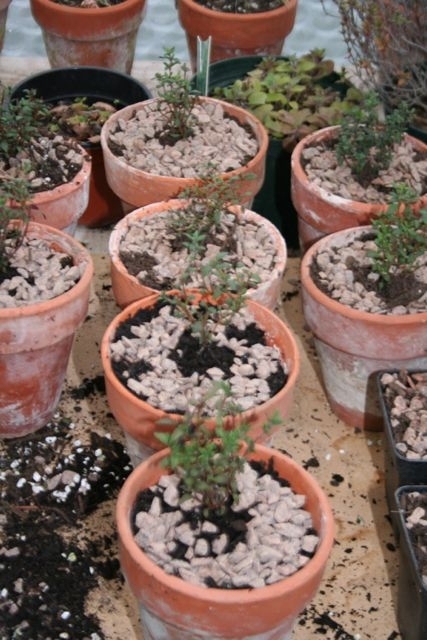 CJ will then show you how to turn these potted wonders into gourmet fabulousness. Pot to Pot workshops will be held at The Coach House, Long Mill Lane, Crouch TN15 8QB, Kent (near Sevenoaks) and the price includes coffee and homemade cakes on arrival, lots of growing tips, a tour of our jam-packed container vegetable garden and a delicious lunch prepared from seasonal homegrown produce by CJ. You’ll go home with a goody bag including seeds and our Pot to Pot booklet of recipes and growing tips. It’ll be fun, informal and, hopefully, you’ll learn a little bit too. 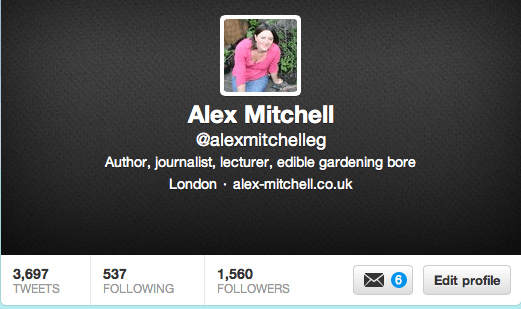 Alex Mitchell is a journalist, author, lecturer and gardener. 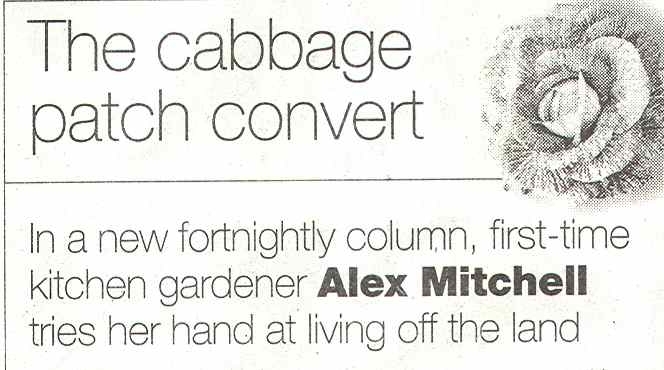 For five years Alex wrote a column for The Sunday Telegraph about growing fruit and vegetables. She writes features about gardening and food for The Daily Telegraph, The Sunday Telegraph, Gardeners’ World and any other publication that will have her, with a particular interest in how to get the most out of small, urban spaces. She has written three books, The Girl’s Guide to Growing Your Own – Or How to Grow Fruit and Vegetables Without Getting Your Hands Too Dirty, The Edible Balcony and The Rurbanite: Living in the Country Without Leaving the City. 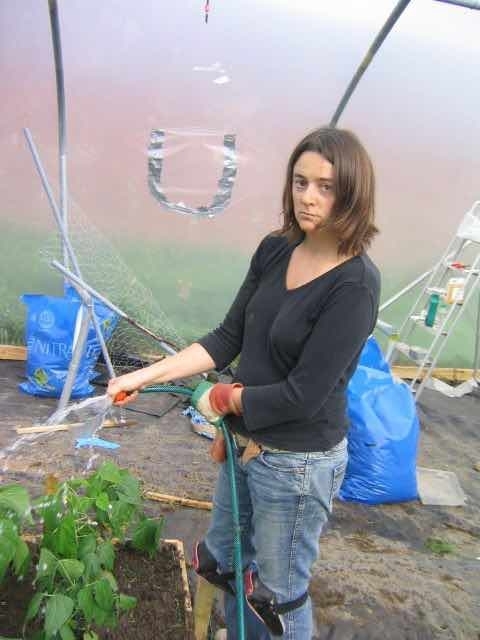 Alex is a lecturer at the online gardening school MyGardenSchool with her course Edible Gardening Made Easy. 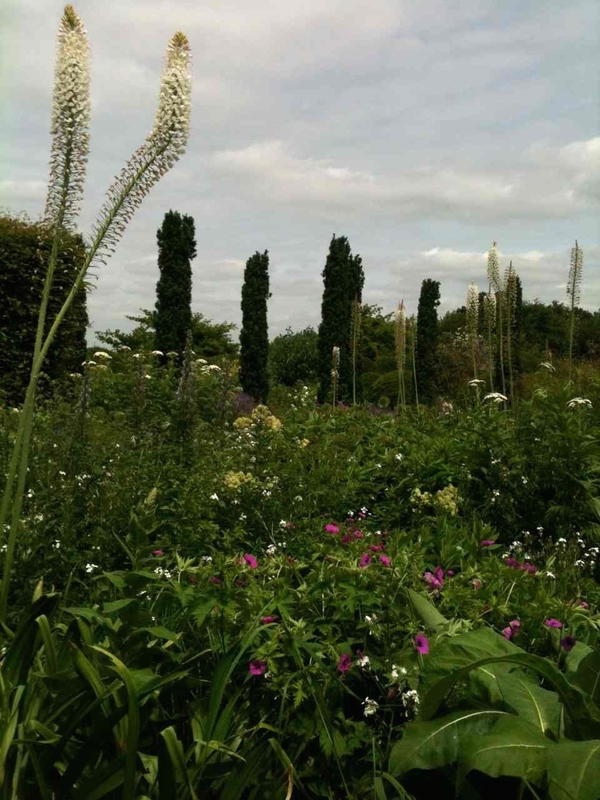 In March 2014 she graduated with distinction from The English Gardening School with a diploma in Garden Design. 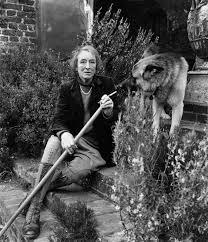 She is currently working on her latest book, Gardening on a Shoestring. She lives in Ightham. CJ Jackson is a cookery writer, creative product development consultant, teacher and demonstrator. She trained at the Cordon Bleu School in London, where she worked as a teacher before moving to Leith’s School of Food and Wine in 1989 where she eventually became Vice Principal. CJ then ran her own freelance food consultancy for several years until taking on the running of Billingsgate Seafood School where she still works as CEO and Principal. She has written and co-authored a number of books including both The Leith’s Fish Bible and Leith’s Seasonal Bible (Bloomsbury) both of which highlight her passion for seafood and enthusiasm for cooking with seasonal produce. Other publications include The Ration Book Diet, The Times Food for Feasts and Festivals, The Billingsgate Market Cookbook (New Holland) and Dorling Kindersley’s Fish. She has a keen interest in food and travel and has organised and run cookery courses in Australia, the Middle East, Spain, Morocco, Italy, Singapore and Kenya. She lives in Crouch. Author AlexMitchellPosted on May 20, 2014 Categories Growing stuffLeave a comment on Grow your own and eat it too! My new book The Rurbanite, Living in the Country Without Leaving the City (Kyle Books) comes out on March 1. It’s been a blast to write, and I’ve met some fantastic people along the way, from beekeepers to community gardeners, foragers to wild flower gurus – all of whom see the green beyond the grey of city life. The world is becoming more urbanised so we might as well make our cities better places to live. An exciting new band of people is doing just that, realising that you don’t have to move to the middle of nowhere to meet nature head on. Split into 3 sections, GROW, FIND and KEEP, there are loads of projects in the book, such as how to put a green roof on your garden shed, or turn your front garden into a wildflower meadow. You’ll learn to identify the easiest edible urban weeds and get some ideas of how to cook them. You’ll get the lowdown on urban beekeeping, henkeeping, even quails and ducks. Whether you want to be a guerilla gardener, an urban homesteader, making your back garden a mini farm, or a city farmer, getting to know your neighbours in a shared food zone, there are plenty of tips and advice. You’ll also meet some rurbanites from Brooklyn to Berlin, all of whom are making their mark on their own city in inspirational ways. There’s been some generous coverage of the book in The Times, The Sunday Telegraph and Evening Standard among others. See the Rurbanite website for more info or buy the book here! Author AlexMitchellPosted on February 18, 2013 Categories Growing stuffLeave a comment on Are you a Rurbanite? We ate a lot of fruit as kids. Growing up on a fruit farm we sort of had to. It would have been churlish to declare a lack of interest in Bramley apples, russets, Victoria plums, cherries and Conference pears. An allergy to fruit would have been considered family disloyalty. The minute the first baby pears and apples started to form, my brothers and I would stop our bikes and knaw at them, unbothered that they had no sweetness whatsoever. As the summer went on, they got sweeter and plumper until, one day, all of a sudden, they weren’t there any more. Picked, packed and on the way to the supermarket – or possibly the big forbidding cold stores across the orchards where dials and flashing lights kept the fruit in a sinister kind of hibernation. At harvest time we went in search of the sweet pollinators dotted inamong the Bramley trees and stretched our school jumpers with tens of Spartans, Miller’s Seedling, Worcesters and English Delicious, waddling back to the house with our haul. As you can imagine we at a LOT of baked apples in our time. And we are no strangers to stewed apple. But it wasn’t all eating. Oh no. Growing up on a fruit farm was political too. When the French Golden Delicious hit our shores, Dad handed us ‘I’m an English Apple Eater’ stickers which we plastered all over our schoolbooks and bedroom walls as protest at this Franco invader. No records survive of this brave endeavour but I’m sure it scared the French. As the years passed, the picking workforce changed. First it was local women laughing and shouting jokes at each other over the branches, then quiet, breathtakingly efficient Eastern European students, camping in tents and saving up for houses and cars. I’d help out, picking pears in the rain or, much more preferably, sunbathe on the bonnet of a tractor reading DH Lawrence until the call for ‘Tractor’ roused me to pick up a full bulk bin and move it to the collection point. I developed a crush on a Bosnian that summer. It was the DH Lawrence. The visiting pickers would have big parties at the packing sheds, making their own bootleg alcohol and using the tractor lights as disco lights. One year we had a whole load of Mongolians who worked out how to reverse the charges on the payphone. They weren’t asked back. As the supermarkets became ever more controlling of the fruit market, the orchards changed. Out came the cherries and the plums, in went more pears and Bramleys because that was where the money was. The trees got smaller, pruned into squat shapes. I missed the plums and cherries. Now I live in the city I get a bit wistful about my farm childhood, particularly since a lot of the orchards are grubbed up now, awaiting who knows what endeavour. But this summer has seen my little garden give my nostalgia a run for its money. This has been the best summer for fruit I can remember in this garden. I might not be filling my jumpers with Spartans, but I’m picking figs for breakfast every day, grazing on handfuls of blackberries and blueberries, gorging on plums. June saw an ambrosial crop of apricots and some sweet if rather disoncertingly wrinkly peaches. My French pears – disloyalty alert, the Conference doesn’t quite cut it for me taste-wise – are frankly ginormous, and the grapes are plumping up nicely. It wouldn’t make any impact on the supermarkets, but right now this little farm does it for me.